Brian and Maria Green, Inc.
Civil War Autographs, Letters, Documents, Diaries, Currency, UCV, GAR, Photos, FDC, and more! Copyright © 2013-2019 Brian and Maria Green, Inc. All rights reserved. 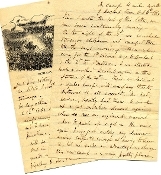 Civil War Confederate and Union Letters, Autographs, Documents, and more!